Over the following two months, India will see general election 2019 spread over seven phases of polling. The mother of all electoral battles is between Prime Minister Narendra Modi-led BJP coalition and opposition parties across India. What makes the battle interesting, irrespective of the final outcome, is how Indian democracy functions. India is valued around the world for her many assets. Three things that distinctly underline her greatness are -The Taj Mahal, the 17th century magnificent Mughal splendour built in white marble, Mahatama Gandhi, the apostle of peace and non-violence and India’s electoral democracy. It is difficult not to be impressed by the process and resilience of Indian democracy and its gargantuan election system that involves more than 300 parties and thousands of candidates campaigning and contesting fiercely, as millions of voters cast their ballot to elect 543 representatives to Lok Sabha- the Lower House of the Indian Parliament. The dance of democracy conducted at the end of every five years, is representative of India’s incredible diversity in terms of its languages, religions, castes, creed, regions, urban and rural disparities. It is also the world’s most daunting election exercise, as 834 million voters cast their ballot in the 2014 general election. The sheer size of the Indian electorate is mind boggling – it is twice the size of 50 European nations, whose voters’ number is close to 492 million! And there are features unique to India. Of the 834,999 polling stations set up across the country, one was located in the village of Banej in Junagadh district, Gujarat in western India. What is unique about this polling station is that it is located in the heart of India’s lion sanctuary, where Asiatic lions roam freely. India’s commitment to democracy can be gauged from the fact that this booth was set up for a single voter! In other words, every vote is literally counted! The dividends of democracy are unparalleled, as it accommodates diverse interests and aspirations. No wonder, Economics Noble Laureate Amartya Sen, observed that a country does not become fit for democracy, but fit through democracy. The Indian Parliament has facilitated socio-economic revolution, undertaking several welfare policies and programmes. This necessarily has to be seen in the background of how countries in Asia and Africa have evolved, alternating between democracy and dictatorship or some like China, which are under permanent one-party rule! 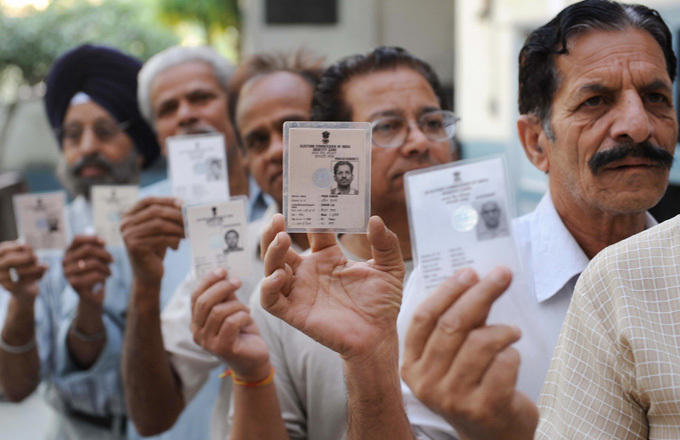 Since India became Independent in 1947, it has held 16 general elections under a fairly independent Election Commission of India, a constitutional body that has maintained the sanctity of holding free polls. No doubt many individual manipulators have won sometimes, but the system of democracy is in place. Borrowing heavily from a dozen constitutions, mainly western democracies and from Japan, framers of the Indian Constitution were able to establish a strong and vibrant constitution, adopting features best suited to the Indian context. Indian democracy is parliamentary, based predominantly on the British system. The Head of Government in India is the Prime Minister, who can hold office only so long as he commands the confidence of the Lok Sabha. Confidence of the House is reflected in existence/continuance of majority support – whether of a single party or of a coalition of parties. Under Article 75 of the Constitution, the President of India appoints the Prime Minister and other Ministers are appointed by the President on the advice of the Prime Minister. The Council of Ministers, including the Prime Minister, is collectively responsible to the Lok Sabha. There have been occasions when India’s Prime Ministers were not from the Lok Sabha, but from the Rajya Sabha (House of States) or what is known as the Upper House. For instance when Indira Gandhi became Prime Minister after the sudden demise of Prime Minister Lal Bahadur Shastri, she was a Rajya Sabha member. Similarly, H D Deve Gowda and Inder Kumar Gujral, who headed United Front Governments in 1996 and 1997, were Rajya Sabha members from Karnataka and Bihar respectively. More recently, ex-Prime Minister Manmohan Singh, who led two United Progressive Alliance (UPA) governments from 2004-2014, was a Rajya Sabha member from Assam. Unlike the Lok Sabha that is dissolved after every five years, the Rajya Sabha is a permanent House, not subject to dissolution. However, one-third members of the 250-strong Rajya Sabha, retire after every second year. A member who is elected for a full term serves for a period of six years. Here it is important to point out that all the money bills passed by the Lok Sabha have to be passed by Rajya Sabha. Rajya Sabha, at best, can only recommend amendments. All the money bills are introduced in Lok Sabha and must be returned to the Lok Sabha within 14 days or the bill is deemed to have passed by both houses in the form it was originally passed by the lower house. Over the years, successive governments have taken the money bill route, as its’ passage is easier. Under the Indian Constitution, the executive power of the Union is vested in the President. However, in exercising his executive powers, the President is bound to act according to the aid and advice rendered to him by the Prime Minister and the Council of Ministers. Under Article 74, it is required that, “There shall be a Council of Ministers with the Prime Minister at the head to aid and advise the President who shall, in exercise of his functions, act in accordance with such advice”. In other words, like the monarchy of England, the President reigns, but it is the Prime Minister who rules. Prime Ministers such as Jawaharlal Nehru, Lal Bahadur Shastri and Morarji Desai choose to adhere to the Constitution. But Prime Ministers such as Indira Gandhi rode roughshod over everyone, including her own ministers. In her regime, her ministerial colleagues were reduced to ciphers. Similarly, during the last five years, Prime Minister Narendra Modi, has not just centralised all decision making, but has also ensured that no one speaks out of turn! Under Modi, the Bharatiya Janata Party (BJP) won an absolute majority in the 2014 general election, with 282 seats, a first by a political party after 30 years. Despite dictatorial tendencies displayed by some leaders, the Parliament is in a position to keep the Prime Minister and his Ministers under constant vigil through its oversight mechanisms and devices – Question Hour, Adjournment Motions, Calling Attention Notices, debates, Confidence and No Confidence Motions, Scrutiny of Union Budget and its implementation and public accounts audits. The Constitution has defined the functions of various organs of the state – legislative and executive. An independent judiciary includes the Supreme Court, High Courts and other lower courts that uphold the Constitution and enforce fundamental rights. From time to time, the Supreme Court has struck down laws from the Parliament and state legislatures, which have violated the basic structure of the Indian constitution. Many Indian states are bigger in size than some countries in Europe. States in India have been established on linguistic basis, tribal and regional aspirations. Except for Defence, Foreign Relations and currency, states are independent to legislate their laws and administer them, of course within the framework of the Indian constitution. Several chief ministers such as Jyoti Basu of West Bengal, M Karunanidhi of Tamil Nadu and NT Rama Rao of Andhra Pradesh have rallied around the cause of provincial autonomy. It is also true that the appointment of governor as head of state with discretionary powers and the all-India civil services have considerably eroded the states’ powers. Interestingly, the use of Article 356 of Indian Constitution, which empowers the Centre to dismiss state governments, has been sparingly used over the years ever since the S.R. Bommai case verdict (1994), which has made the abuse of Article 356, largely a thing of the past. Also, successive Finance Commission reports on resource transfer, end of licence raj, decline of discretionary public sector investments, rise of regional parties and abolition of Planning Commission, have helped create a more balanced federal India. According to revised estimates of 2017-18, half of the Union expenditure of around INR 22 trillion has been transferred to states. Of the total resource transfers, 69.4 pc is by Finance Commission’s devolution and grants, and the bulk of what is left is under centrally-sponsored schemes. No doubt, today states have far greater control of their economic and political management than in the earlier phase. Still Article 356 is an emergency provision in the Indian Constitution that puts a state directly under the Centre, via the office of the governor and the centre’s administrative and financial powers, to further the party’s partisan ends. Due to constant federal meddling, there is huge demand from states ruled by parties other than one ruling at the Centre, to abolish the Governor’s post. From 1952 to 1977 and from 1980 to 1989, the Indian National Congress dominated. Many states were ruled by the Congress then. Similarly, the BJPs meteoric rise at the Centre in the May 2014 general election was stunning. This was followed by victories in the provinces, as the party swept 22 states under its sway, including eight in the north east region, where it had no presence earlier. The BJP-led National Democratic Alliance government has 11 active partners under its fold. Most political parties campaign and win elections by offering freebies-bicycles, pressure cookers, sewing machines, laptop school bags, accompanied by populist schemes such as waiver of farm loans and free electricity. But what give the edge to winning candidate are caste calculations or communal polarisation, as voters are swayed by these two considerations. This is why most political formations, except for the Communist parties in India, focus on social engineering and emotive issues rather than on employment and empowerment. Though Modi managed to secure an absolute majority in the 2014 Lok Sabha elections with 282 seats, its voting share was merely 31 pc of the votes polled. The previous lowest vote share for a single-party majority was in 1967, when the Congress won 283 out of 520 seats with 40.8 pc of the total valid votes polled. In fact no party – not even Congress under India’s most popular Prime Minister Jawaharlal Nehru, had secured more than 50 pc. The biggest Congress victory, a 48 pc vote share in 1984, was under Rajiv Gandhi, when the then prime minister and his mother, Indira Gandhi, was assassinated by her Sikh bodyguards. According to the Election Commission, 45 million young people, who have become eligible to vote as they turn 18, have been added to India’s electoral roll since 2014. This has expanded the voter list by 5 pc since 2014. How India’s young population votes will clearly be one of the deciding factors in the forthcoming 2019 general election. This was also the case in the 2014 general election, when 24 million new voters had joined the country’s electorate. Political parties are getting ready for the digital battle ahead to attract the heart and minds of 900 million voters, 300 million of whom are hooked on to social media such as Facebook and Whatsapp. Time and again, the Election Commission of India’s electronic voting machines (EVMs) are standalone devices not connected to any network, whose software is written onto a one-time programmable chip. These EVMs cannot be tampered with. The courts too have ruled in favour of the machines quite a few times. However, most major political parties have raised their voice against EVMs at some point or the other. India’s 2019 election will also be memorable to see how its citizens vote amidst jobless growth, acute farm crisis, dwindling exports and as the first major public reaction to demonetisation. Will it give a second term to the Bharatiya Janata Party under Prime Minister Narendra Modi or is it likely to rejuvenate the Congress party, decimated to 44 seats in 2014 polls? The Congress has fielded Priyanka Gandhi Vadra and made her in charge of eastern Uttar Pradesh from where her great-grand father and India’s first Prime Minister Jawaharlal Nehru, contested elections. Or, will the election offer a hung verdict, as it had during late 1990s? Whatever the verdict, it will be without doubt another stride in India’s great march of democracy and the promise to fulfill a billion aspirations!